25 February 2013: Muslims worldwide await the arrival of the Holy Ramadan month, which is the ninth month of the lunar Muslim calendar. This ninth month holds a special spiritual significance for the Muslims and is considered a highlight of the whole year. During this month, Muslims from all over the world unite in spiritual reflection and take part in a period of fasting. This time is special for the renewal and revival of faith, as people reflect at the past year and look forward to a new year together. The entire Muslim community comes together in the form of celebration and prayer. A community-wide fast is observed every year in the ninth month of the Islamic calendar. This fast has a lot of significance and is known to be one of the five “pillars” of the Islam religion. Muslims, who are physically fit and able, are required to fast from sunrise to sunset on every day of this month. The fast is culminated with a celebration enjoying community meals along with friends and family. It is also accompanied by spiritual reflection, reading the Holy Quran and prayer. 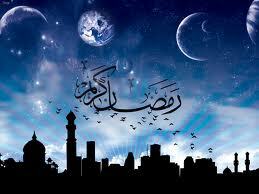 Ramadan 2013 is expected to start around July 9th in 2013, and will continue till around August 7th 2013. Though the determination of exact dates is not possible in advance, due to the nature of the Lunar Calendar followed by Muslims, approximate dates are suggested based on the crescent shaped moon, which follows a new moon. The dates may again vary according to the location. Starting 9th July, it will continue for 30 days and end on 7th August. According to the Islamic lunar calendar, the holiday begins at sunset on the previous day. So, the Muslims around the globe can start celebrating Ramadan 2013 from the sunset of 8th July. More Insight – When is Ramadan 2013? According to the Islamic calendar, Ramadan always falls on the same day, every year. However, the date according to the Gregorian calendar can vary from year to year. Gregorian calendar is based on a solar calendar, while the Islamic one is lunar. This difference in dates allows the Ramadan date to move approximately 11 days on the Gregorian calendar every year. Depending on the sighting of the moon, the date may vary from region to region or country to country. Ramadan 2013 is a holiday, which has a lot of spiritual and historic significance. Ramadan honors the time when the first verses of Quran were first revealed by the angel Gabriel. He revealed the holy verses to Muhammad, a caravan trader. This fasting ritual helps Muslims to remember the suffering of the poor. Fasting also helps in cleansing of the body. This month long fasting can be done by all Muslims starting from the age of 12. Fasting is observed from sunrise to sunset, which is the hallmark of this holy month. During the daylight hours, eating and drinking (even water) are not allowed. ‘Iftar’ is the name of the meal that breaks the fast after sunset. Sharing of food with the poor is often a common sight during this holy month. The month long fast is ended by a celebration call the ‘Eid al Fitr’, or breaking of fast. Muslims celebrate Ramadan 2013 with a lot of pomp, feasting and fervor.